Dr. Jeffrey Seif compares today’s news to yesterday’s prophecies, demonstrating that we are living in ominous times. Co-host Sandra Levitt gives key insights to help viewers perceive world events with a Word-inspired perspective. Zola makes special contributions in brief teaching episodes, pre-recorded interview segments, and with his timeless music. In addition to being loaded with prophetic insights, drama, music, interviews and more, this series invites viewers to secure their appointments with destiny by receiving Israel’s Messiah—whom we call Jesus. Focusing on Daniel’s personal faith and piety, rather than on any prophetic vision, underscores the importance of individuals being “ready” at day’s end. Before looking at what was on Daniel’s mind, viewers see first what was in his heart. History is not spiraling out of control, but is moving in accordance with a predetermined plan—a message this segment forcefully underscores. Daniel’s prophecies mention Jesus’ first coming, His death, the destruction of Jerusalem, the re-gathering of Israel, the still-to-come Tribulation period, the Messiah’s second coming, and the final battle. Those troubled by today’s headlines will appreciate Daniel’s ancient prophecies of a “Western” (Greek) culture squaring off against an “Eastern” (Persian) culture. These connections prove both interesting and alarming. That we “wrestle not with flesh and blood” becomes apparent as we consider the emergence and naming of “archangels”—both Gabriel and Michael. Here we discuss the roles and functions of angels, particularly their service in helping Believers personally and Israel politically. Characteristics of the Antichrist’s person and administration are considered in this segment, along with a brief description of his limits and eventual demise. This segment considers the antiChrist’s temporary dominion and his displacement when the Messiah eventually returns. Daniel notes the devil’s influence over the world, informing us that his day will come—at the end. 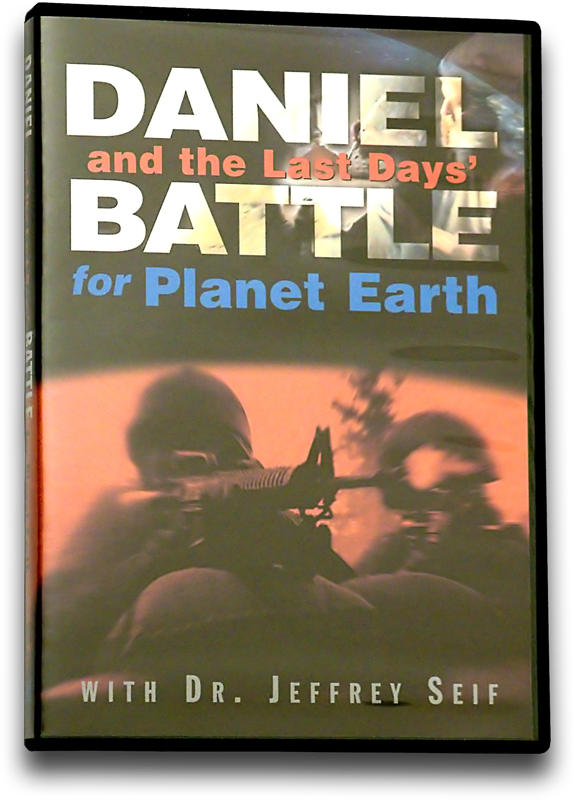 The dreaded “Battle of Armageddon” is explored as we examine Daniel’s prophetic assessment of the world’s final countdown and conflict.